Photography & luck, the eternal duo. We’ve all been lucky. 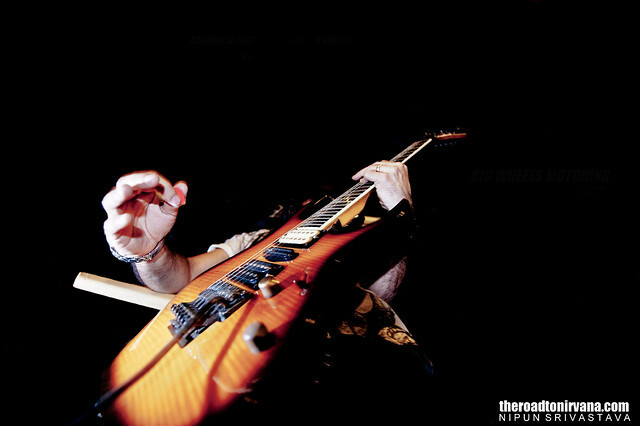 We’ve all landed up with pictures that we love out of sheer luck haven’t we? One just has to admire the presence of luck in photography. It carries us through some of our most challenging photographic moments. There are a few per-requisites to getting these sometimes surprising images. Well, there’s your camera. You don’t need a so called ‘high-end’ camera, really. What you will need however is a camera which is ready for a shot at all times. Fully charged and ready to roll. All DSLRs these days have a stand-by mode. Like in my Nikon, the stand-by mode keeps the camera sleeping. The moment I need to take a picture, one press of any button will get it out of its slumber and ready to fire. What’s even more important is that your camera be configured in such a way that it’s ready for all scenarios. You don’t want to be fidgeting with the settings to get the ISO down and the aperture up in case you need to point the lens at the Sun. The solution to that problem is to keep the camera set to ‘auto’ or ‘P/Program’, when you’re not shooting something in particular, obviously. Let the camera do the work, it’s faster than your fingers in situations where you may have all but one second to point, compose and shoot. Two faced tide, Zanzibar, Africa. 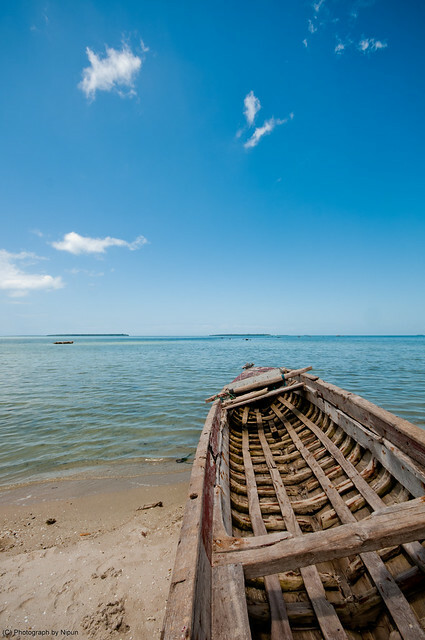 This photograph, taken from the Forhodani Park in Stone Town, Zanzibar, showcases the simple life of the fishing community here. Every morning they head out with their sails open while the sun is still yawning into its rise. They return with the days catch in the evening, fresh and ready to go onto any of the stalls which line the lanes of the Forhodani park. This is a much adored photograph from my portfolio but the harsh truth about this photograph is that this was a highly over-exposed frame. Shot in RAW, when this image came up in the scroll, there was little my mind could think about doing. The highlights were too bright, the blacks looked as if they came straight out of a can of oil paint. The first thing that I did was to instantly rid it of all saturation (you know, cut my losses and use what I have). The next step came as a surprise even to me, I bumped up the exposure even more till the ocean looked almost like a sketch. You can even spot the horizon if you’ve got a good pair of eyes. 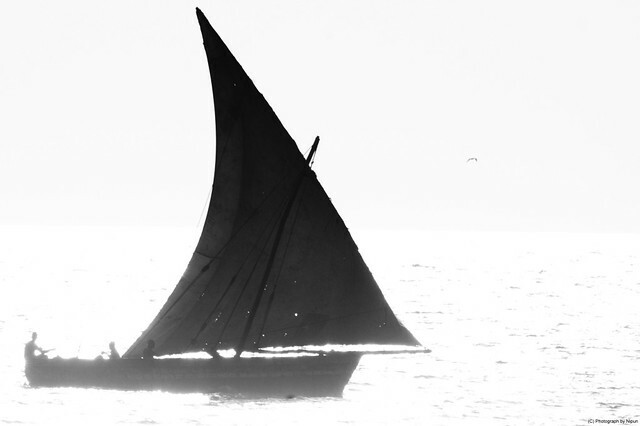 As a result came out this picture postcard image of a Dhow. Having the camera set to manual and not prepared for this type of photograph actually helped me capture this rather representative image. I was lucky. The unorthodox processing of this image saved the day. There’s no getting away from it. Your shutter release has got to be absolutely on the money at that second when it’s all supposed to happen. Miss it and all you’ll have is a photograph which could. Get it right though and you’ll be jumping with joy after you finish processing the picture. There again is that element which we all love to hate – luck. Spirit of the desert. Rajasthan, India. Easily one of the top 5 favourites from my recent trip to Rajasthan, India. I pride myself on the exquisite timing of this photograph. There have been a few times that I have ended up depending on luck. Some frown upon that but who gives a damn? They say that the photographers who rely on luck are not true photographers, they’re just trigger happy shooters. I think whoever says this is right, only to an extent though. You see, I started shooting with a manual camera and its bathed in wasted film (and money!) disappointments. Back then it was only those ‘lucky’ shots that kept egging me on to shoot more. Even the urge to try and better understand the nuances of making a well thought out and calibrated photograph was fueled by those few perfect photos. All thanks to luck. A bad photograph gone good. 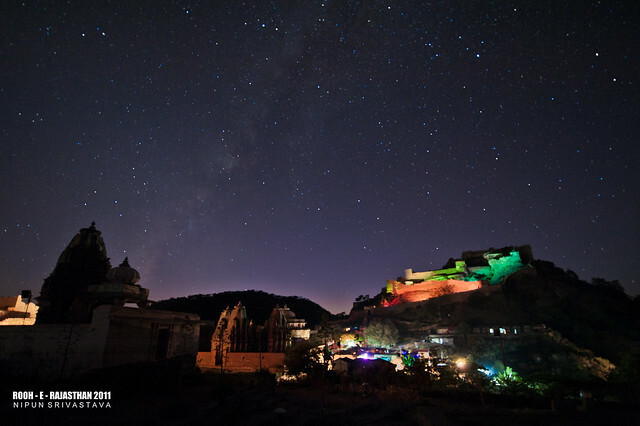 Kumbhalgarh Fort, Rajasthan, India. I didn’t even know I had taken this shot. I was busy watching the sound and light show at the fort (hence the lighting). The camera was set up on a tripod right next to my seat. With a wired remote-release in my hand I kept clicking, only occasionally changing the tilt to adjust my frame. The reason I love this photograph is that everything in the frame is perfectly out of focus. Yes! Look closely and you’ll see. Yet somehow, this image works. You can even see the milky way! When shooting outdoors, these two factors can mean the world to a photographer. Also, no one has complete control over either. That’s what’s amazing if you actually do end up with a good photograph. Sometimes even the worst hours of light can yield a good photograph. Don’t be apprehensive about shooting at noon or under thick cloud cover. Go for it, regardless. Living on an island. 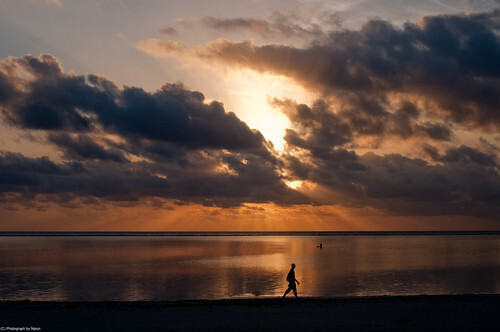 Zanzibar, Africa. Shot at the top of noon, this photograph came as a surprise. Background: It was hot, I was sweating it with all my camera gear on my back and I was on a beach with no shade. 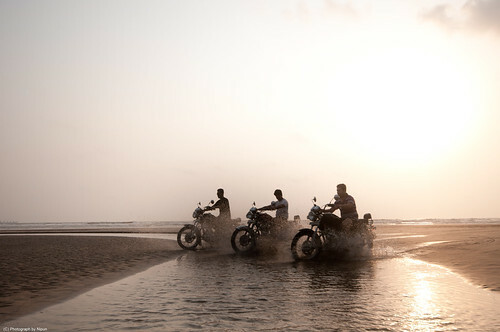 On a motorcycle ride across the island, I had little control over the time I reached a particular destination. Look at this picture, see the shadows and you’ll know it was shot at 12PM on the dot. This photograph was a stepping stone for me towards realising the possibilities of shooting with harsh light. Sometimes though, one just has to forget everything and swing for the fence. 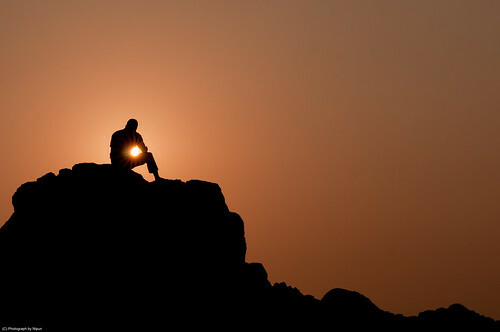 Like in this photo here, shot at Hampi in Karnataka, India. Jewel in the crown. 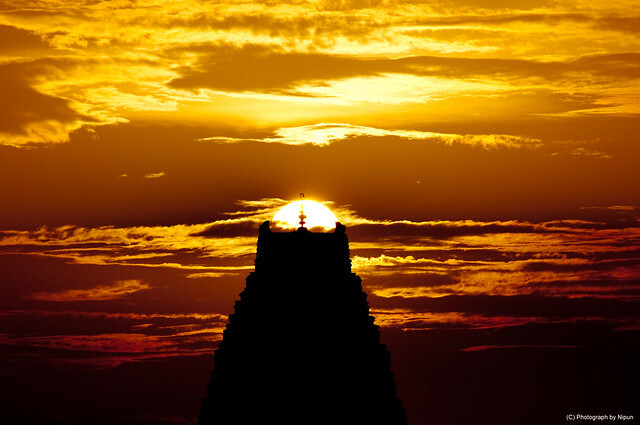 Virupaksha Temple, Hampi, India. Almost 2 kilometers away from my subject and on top of a hill. The place where I was standing had absolutely no space to move around and get the Sun perfectly resting in the Temple’s crown. To get this particular shot, I had to literally hang off the hill and try to shoot with one hand stretched out as far as possible. The Sun too would stay in the correct position for a very short while only, I had very little time to execute. Adding to my problems was the 300mm lens that I was using! It took about 10 shots till I got this photograph. Which could have been taken in a better way, if I had a helicopter or something. (wink!). After I got the photograph and a few other shots, I spent the night ogling at my camera screen! So there you have it. Go ahead and be lucky! This entry was posted on July 23, 2012 by Nipun Srivastava. 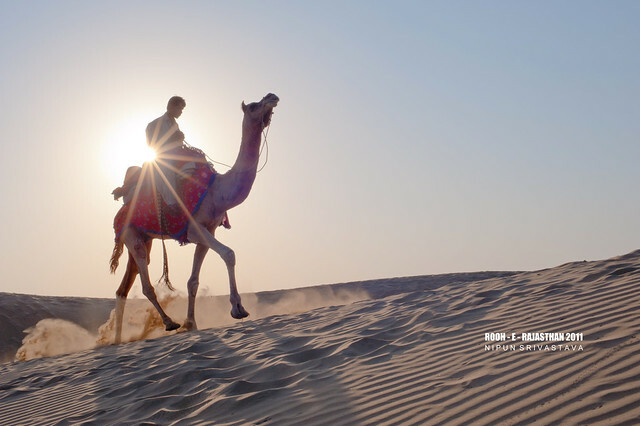 It was filed under Photography and was tagged with Africa, beach, boat, camel, desert, flare, hampi, images, india, lighting, nikon, nokkor, photography, photos, rajasthan, sand, saturation, stars, sun, Travel, Zanzibar.